The last couple years in the Indie/Alternative music scene have been something of dreams. New bands are emerging left and right and it seems every Friday another handful of incredibly solid albums drop. Tie this into the increasing mainstream popularity of folk-rock music, one often doesn’t have to dig too deep to find something that really gets their blood pumping. A little digging however went a very long way when I discovered the band Apo & the Apostles, who’s 2018 album Saving a Dead Sea fits right in with this wave of dopamine that music has been crashing repeatedly into our brains. Not unlike the style of music in the band’s earlier releases, “Saving A Dead Sea” comes with a chorus of sounds from acoustic guitars, brass, vocals, and a heavy dose of percussion. Listening to this album makes you feel as if you’re out at a festival during a cloudless day. The sky high energy transfer onto the listener, making it near impossible to fight the urge smile and dance along. Even the slower, more tender moments are just as captivating. This Palestine based band is made up of diverse members, Apo Sahagian himself being Armenian. Although Saving a Dead Sea is entirely in English, in the past there has been songs in Armenian and Arabic as well. Other critics attempt to label them as an English-speaking band, and when they began releasing songs in Arabic they were more likely to throw the term Arab-speaking band around. The band has, however, rejected both claims, stating they will sing a song in the language that comes most naturally to them, and that perhaps more languages are to be expected in the future. With members coming from many different parts of the world, they refuse to be tied and limited to the expectations of media critics. 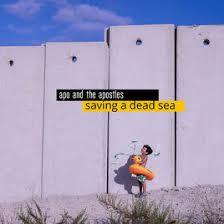 A once self proclaimed apolitical band, Saving a Dead Sea flirts with the Israeli hold on the Palestinian people. “Wait for Me,” the album’s closing track directly calls out growing up in a war zone, and living an existence motifed by trying to get around walls. “Eli Hates Me” is a rather catchy tune for the less than positive subject matter (a common theme for the band’s English songs). While the song could certainly be about a disgruntled man, Eli, referring to him as a brother, a sister, a man, and a wife makes the listener think that perhaps Eli is more than one person. The song tells a story about the songwriter and Eli trying to rectify their relationship, but ultimately, Eli still hates him and the songwriter cannot fully understand why. Perhaps this can be put on the tense relation of populations in the Arab world all together. Or, perhaps, we’re reading too far into it.